Options Sustain pedal, damper pedal, ect. 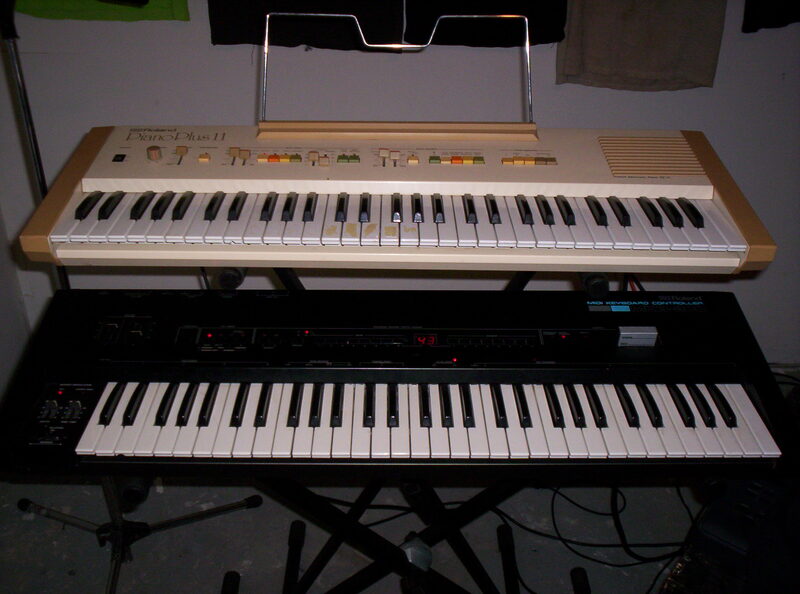 I wanted a keyboard controller, and the keyboards from this era had exactly the kind of keyboard action I like (none). So it took about 2 months to get here, then 1/3 of the keys don't work and two buttons don't work and the aftertouch doesn't work ... (sigh). Electronically I have only one problem with this unit - there is no MIDI IN!!! So I cannot sequence patch changes. But aside from that and the non working items, well where do I start? There are separate volume controls for your two zones (upper and lower) sent by CC (my JX-3p won't respond to this ;( ) You can asign the bender/LFO control to both or the upper zone. The modulation depth and rise time can be controlled by CC (I don't think any of my keyboards respond to the rise time). You can send a MODE change via the function button (OMNI, POLY/MONO) you can change the dynamic touch, which will help players with a hard or light touch. The aftertouch can by turned off. Unfortunately you can only transpose +- one oct.. The keyboard itself has four modes - Dual, Split, Lower, Upper. A small oversight may have been not including a dualsplit mode. There are buttons to access each zones attributes like MIDI channel. 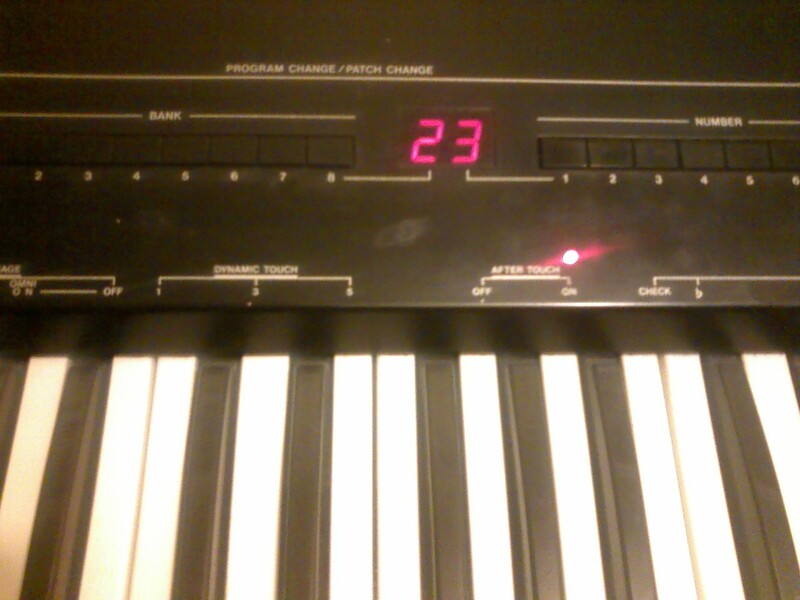 128 patches or use the buttons and program change to change the sounds on your other keyboard. Then you can hook up volume pedals for you upper and lower sounds, and a pedal to switch on and off modulation. There are two jacks for pedals for shifting up and down your patches. Also damper pedals for upper and lower and finally 3 MIDI outs. So now when I get my keyboard fixed it will be an awesome controller. UPDATE aug 5 2004 - I had a bit of an epiphany, and slapped my mks-30 cartridge in the mkb and guess what the patch button worked, the write button wouldn't but I had the memory protect on (I didn't want to wreck my cart sounds) so I'm sure it works as well. The reason I even thought of this is because when I opened up the keyboard there was no backup battery, and this really puzzled me, then all these buttons are surrounded by a line that includes the cartridge. So now I need a m-16c cart. to retain my patches. UPDATE sept 11 2004 I have worked hard to clean the contacts for the keys but there are still about 6 holdouts. I will try some new rubber contacts when I see some on ebay. I now have a cartridge for patches (YAY!!). Now if only I could make a MIDI in ! UPDATE jan 25 2005 replaced the contacts but some of the keys still didn't work so I jumpered over some oxidized traces and now everything works great!!! UPDATE july 18 2005 I downloaded the manual and found out a few interesting things. For example this controller can send SYSEX messages to a MKS-7. You can also program it to send different CC's and then you can use the volume to change the value in real time! Pretty cool. may 2008: did a cleaning of the keys and my C3 works again. cosmeticaly There are a few typical scratches and a glob of glue I can't get rid of, there are some homemade screwholes on the back. They also put in a grounded plug. electronically The aftertouch doesn't work very well. 2016: This is now the controller for rack 1. I just recently did this so I could use some of the other rack modules (there was too much MIDI overlap). I like it so much I am thinking about getting a second one. 2012: set up with the other keyboards downstairs. 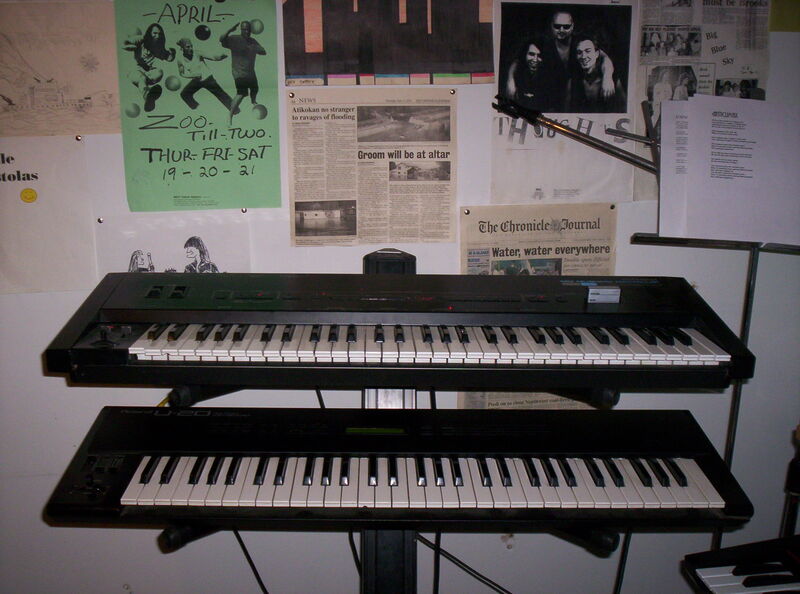 2010: It is set up in the basement with the other keyboards. 2008: I at the moment have it set up in my dining room! I am gearing up for a live Beker show, and am practicing as much as possible. 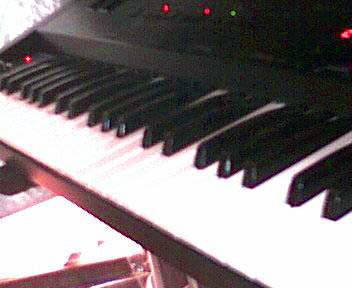 2007: I am a bit sad, one of the keys got broke in the move. It will be a simple fix but I have been too lazy as of yet.